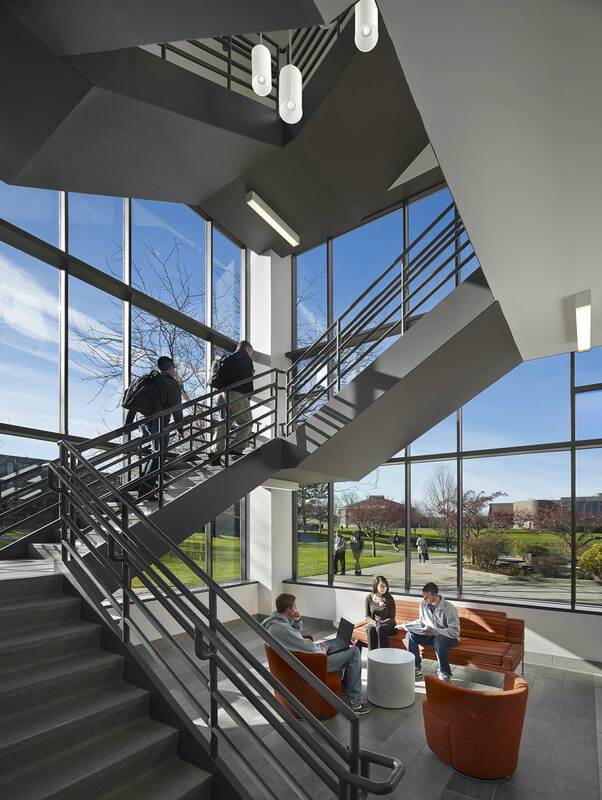 Bryant University’s mission is to educate and inspire students to discover their passion and become innovative leaders with character around the world. Building on growth and momentum, the University developed a strategic plan know as Vision 20/20. EwingCole then worked with key Bryant leadership to develop a Master Plan in support of this Vison. 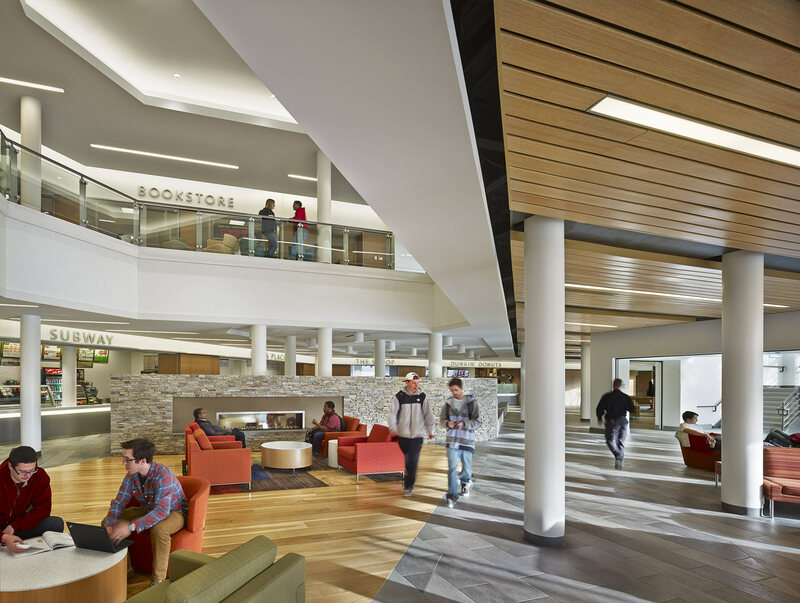 The plan identified improvements to Bryant’s existing student center as one of the University’s specific development priorities. 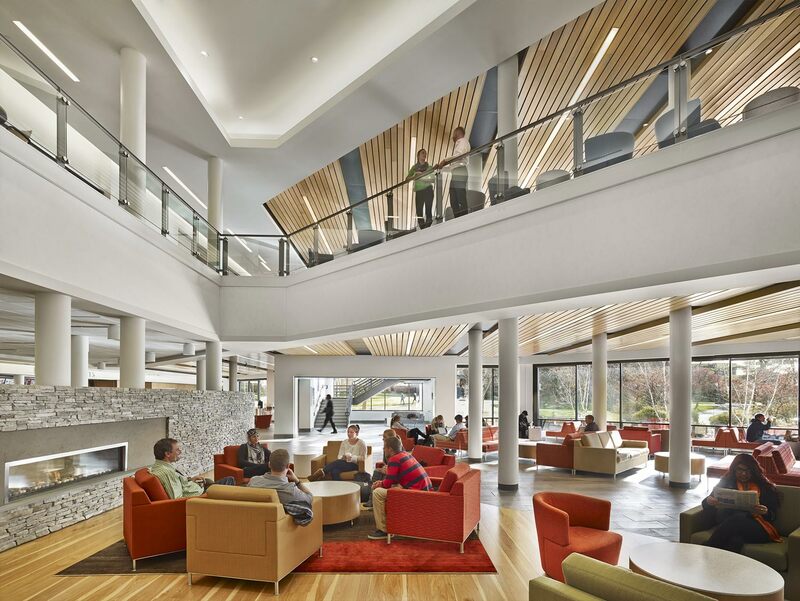 EwingCole designed an integrated lifestyle center that provides a dynamic social space for all students at Bryant, and creates a more distinctive entry from the lake side of the campus. 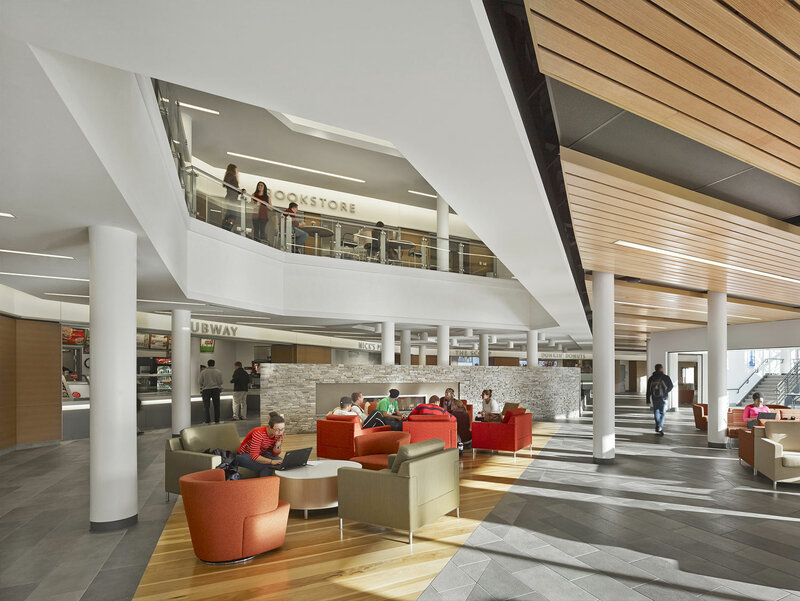 "Beyond the updated finishes, the real success of the project is obvious with students filling the lounges, socializing, studying, and participating in many of the endless events now held in this preferred building. 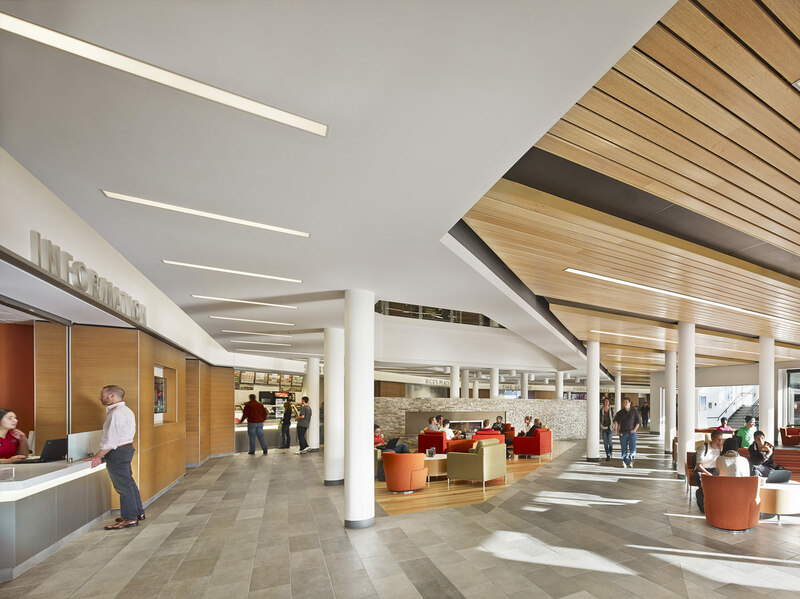 Through your thoughtful reconfiguration, the space has re-energized the once dowdy center with a rich and vibrant student experience. "